An Adventure was had working through my first assignment for OCA. The first obstacle was facing the blank piece of paper! I then cut it in half to be A3 size which felt more realistic for my objects. Then it was moving around my objects to find what worked. 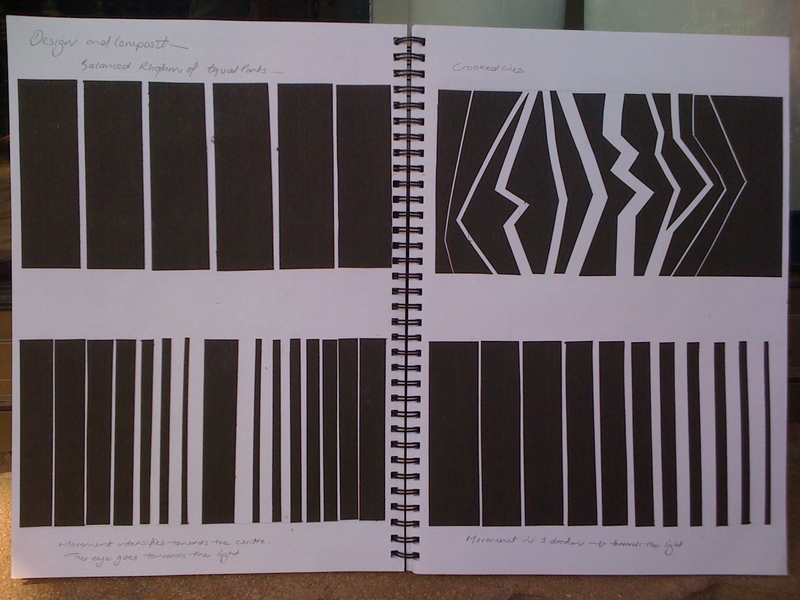 My drawing class here was doing design with black paper on white. 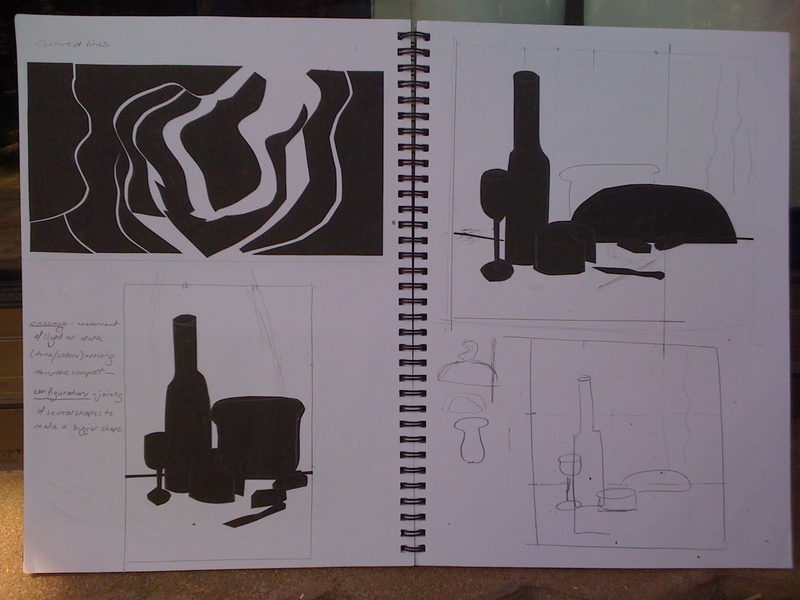 I played at the end of the class with my still life objects and ways to place them. By doing that I realised I wanted a taller loaf! 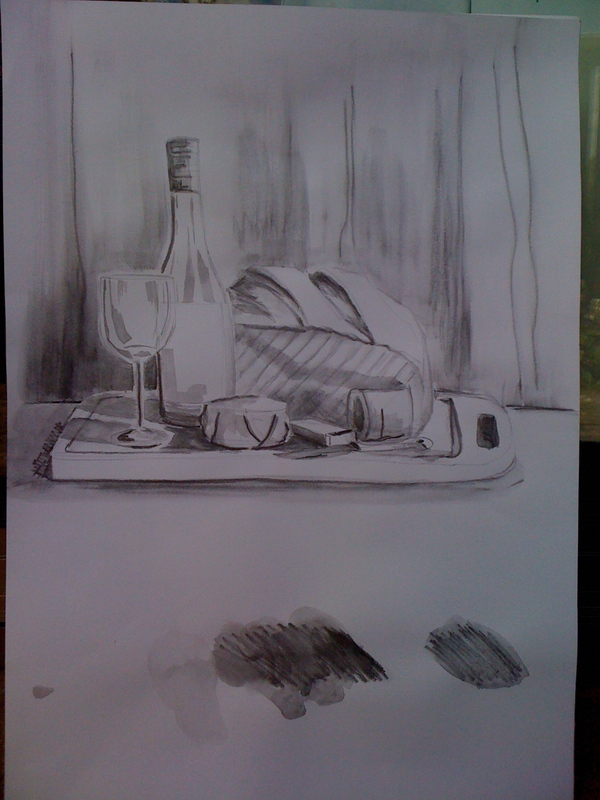 I worked on another quick study, this time using Derwent Sketching pencils that you can wash with water and a brush. Then back home I changed my seating to an eseal and art clip board. Two hours is too long to hold a board on a tilt! – for me anyway. Shut curtains, checked the light coming through and started. On the second day of the Brie being out but sealed, I cut into it. My husband tasted it saying warm, but nice. After an afternoon in the sun with a triangle cut out of it and then leaving it there over dinner time, I had to throw the cheese out. Another learning curve! This study wasn’t going to work so I needed a new topic.